We Will Remember: Exhibition to remember Alfred William Ducker, who fell at the Seige of Kut. 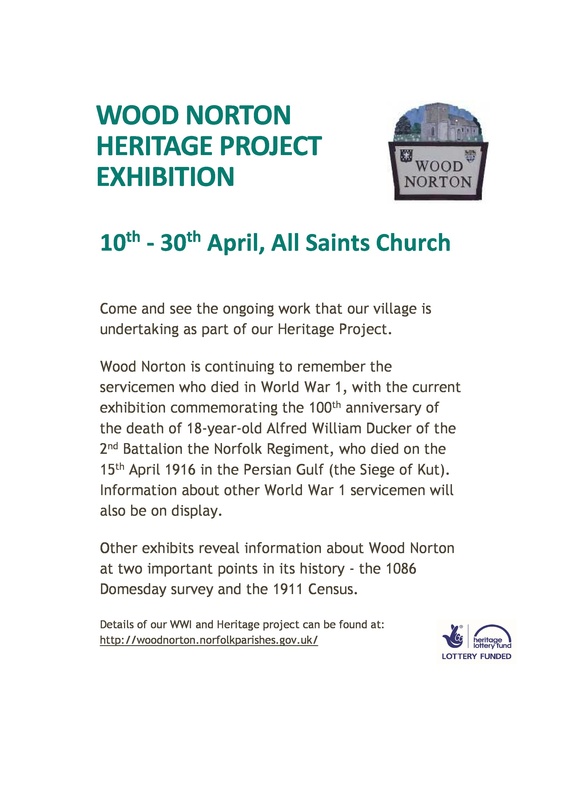 We’ve been contacted by the project team who are undertaking a Heritage Project in the Norfolk village of Wood Norton. This team is looking into the lives of the 44 people commemorated on the village memorial, all bar one who appear to relate to WW1. The team are concentrating mostly on the twelve men (10 soldiers and 2 sailors) who lost their lives during the First World War and impressively have managed to establish the dates of death for all these men, as well as who they served with and where they fell.